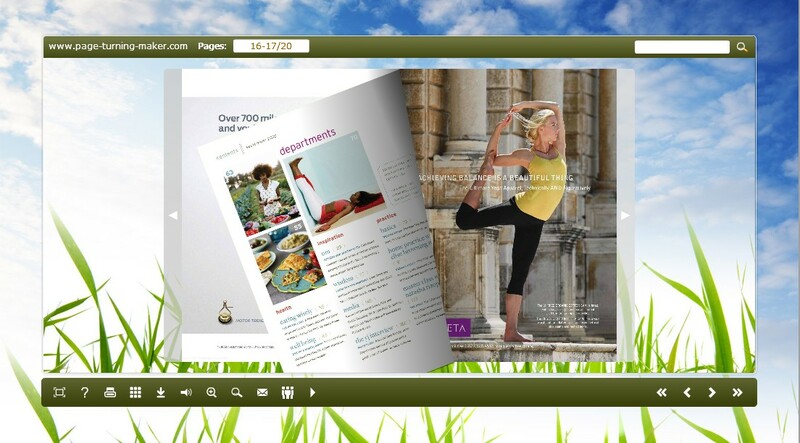 Page Turning Book Theme in Greenery style to help convert PDF to fabulous page turning e-book. Greenery theme for Page Turning Book Designing! This is a Greenery style theme pack released for page turning book design, which includes three templates in greenery styles to help create attractive brightness and health feeling page turning e-book, e-magazine. This theme pack is specifically for Page Turning for PDF and Page Turning Pro for PDF. All the themes can be downloaded and applied to create page flip book for free, and you can learn how to use it with the *.txt document which is called "how-to-install".